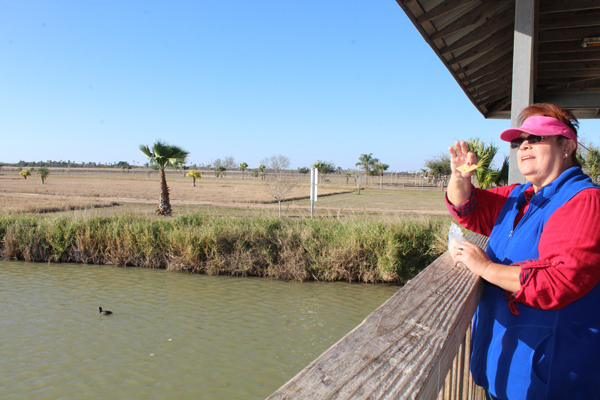 Nearly every city in the Rio Grande Valley has its own park where residents and visitors alike can watch the region’s flora and fauna. Others use such facilities to take a stroll, to exercise or to enjoy a moment of tranquility. After all, such parks are venues for people to get away from the city’s traffic, noise and fast life. Take for instance La Feria Nature Center, an 88-acre facility opened since 2009. This nature center is hardly known outside its city boundaries but is nevertheless a park for everyone to enjoy. But when compared to other nature parks, the one here rivals its RGV counterparrts. It has walking and running trails, a large shelter/pavilion that sits in front of a body of water where people can fish, hold a small gathering such as weddings or watch wading birds, feed turtles and take pictures of whatever they like. The pavilion can be rented at city hall. On any given day, one can find families, couples and joggers going along the park’s half or whole mile trails. Raul Barron said he has been enjoying the park ever since he moved down here five years ago. Barron said, that depending how he feels, he jogs a mile or two using a trail that goes around the water. Hilda Treviño said she likes to stop by the park whenever she can. Treviño said a flock of white birds with yellow beaks are among her favorites. She said the birds are not egrets or white pelicans but of a different type. Maybe they are ibis, which are shore birds usually seen in flocks. Treviño said she enjoys the park peacefulness even though some folks like to bring their dogs. She then started feeding a couple of coots (ducks) and several turtles with a package of saltine crackers, which the critters loved. 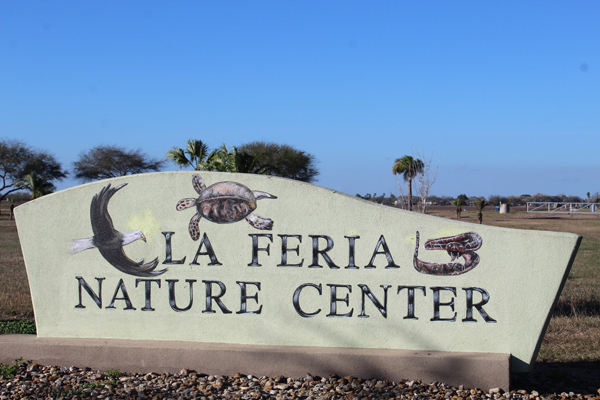 La Feria Nature Center is on South Rabb Road, opens every day from sunrise to sunset and it’s free to the public. For more information about the center please call 956-797-2261.